INDIANAPOLIS — Millions of intensive care unit patients in the United States experience delirium, an acute brain failure resulting in confusion and long-term memory problems. Researchers from the Indiana University Center for Aging Research have developed and validated a novel easy-to-administer tool to score and track delirium severity in the ICU, enabling clinicians to make better decisions about the brain health of ICU patients. universally used “yes” or “no” tests do not indicate severity of the delirium. Existing tests to determine delirium severity are cumbersome and are seldom administered because they are difficult to use in ICU patients on ventilators and require advanced staff training. IU Center for Aging Research investigators have developed and validated the Confusion Assessment Method for the Intensive Care Unit 7–the CAM- ICU-7 for short–an easy-to-use delirium severity instrument that scores delirium on a scale of 0 to 7–mild to severe delirium–and is usable with all ICU patients, including those on mechanical ventilation. Clarification of delirium severity can indicate whether the therapeutic regime that the ICU clinicians have implemented is effective or not and can have implications for a patient’s prognosis. Scores of 1 to 2 indicate no delirium; 3 to 5 represent mild to moderate delirium and 6 to 7 signify severe delirium. Scores can be followed over the course of the patient’s ICU stay. The tool was named CAM-ICU-7 in recognition of its derivation from the highly regarded original “yes” or “no” test–the CAM-ICU–and of the most severe score that can be assessed. 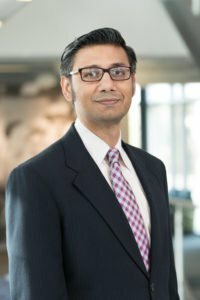 “Not enough emphasis has been placed on assessing delirium severity in the ICU because there is a lack of understanding of how significant outcomes of delirium are for patients,” said IU Center for Aging Research and Regenstrief Institute investigator and IU School of Medicine faculty member Babar A. Khan, MD, who led the study. “The CAM-ICU-7 provides needed objectivity to brain failure assessment and information necessary for current and future brain health management. In the absence of a scale to easily assess delirium, clinicians saw only black and white and there was no gray area. Having an instrument that can further define the “yes” of delirium into severe or mild to moderate delirium can provide an indication of whether the treatments are working for the patient and offer insight into prognosis. “This new tool has the potential to essentially revolutionize the way delirium care is practiced in the ICU,” said Dr. Khan, a critical care medicine physician and an implementation scientist with the Indiana Clinical and Translational Sciences Institute’s IU Center for Health Innovation and Implementation Science. “Nobody had previously cracked the code of how to assess delirium severity in the ICU efficiently and we have come up with an innovative instrument that is easily doable. Adding it to and augmenting what clinicians are already comfortable with makes the quick adoption of the CAM-ICU-7 seamless. 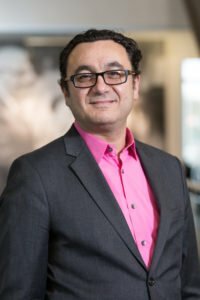 “In order to shorten the inefficient discovery to delivery translational cycle, our clinical scientists need to become disruptive innovators who think like implementation scientists enabling them to discover and design tools that can rapidly be implemented in a scalable way in the real world,” said Malaz Boustani, MD, MPH, senior author of the study. “The CAM-ICU-7 is one of these innovative, simple, scalable and clinically relevant decision support tools that are ready for implementation from Day One.” Dr. Boustani is the founder of the IU Center for Innovation and Implementation Science, deputy director of the IU Center for Aging Research, a Regenstrief Institute investigator and IU School of Medicine faculty member. “The CAM-ICU-7 Delirium Severity Scale: A Novel Delirium Severity Instrument for Use in the Intensive Care Unit” is published online ahead of print in the journal Critical Care Medicine.